Most of us want our logs to be written to a file externally. Whether they are application logs,console logs. 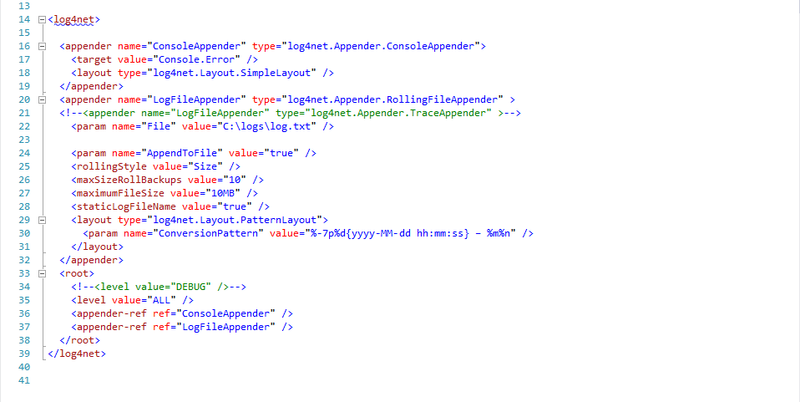 Have used RollingFileAppender and specified a location where these logs are to be written. Hello Shabana, can you please share the code. when i tried to implement the logger as said by you i am getting error in my test project. Error 2@ ConfigurationManager.AppSettings["log4netConfig"]) --> ConfigurationManager does not exists in current context. have you added log4netConfig in your appSettings ? 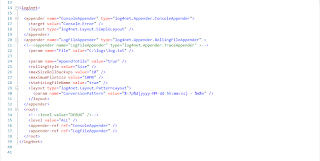 I am working with a Selenium .dll project with no app.config. How do I configure log4net to work with my Selenium test .dll or is this not possible?